Wednesday, Oct. 17, 2018, 11:30 a.m. – 12:30 p.m. 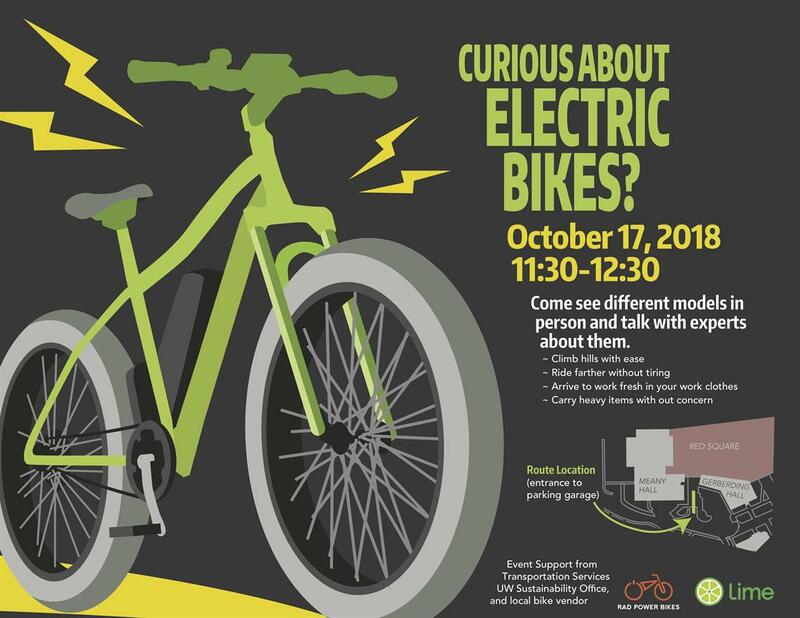 Curious about electric bikes? This is your chance to test-ride models from Rad Power Bikes and Lime and talk with experts about their use. There will be a test-ride course set up at the C1 entrance to the Central Parking Garage, behind Meany Hall.